Today's random set is 6850 Auxiliary Patroller, released in 1989. It's one of 12 Space sets produced that year. It contains 46 pieces and 1 minifig. It's owned by 2400 Brickset members. If you want to add it to your collection you might find it for sale at BrickLink or eBay. Ah! A classic space set I actually own. It's in pieces, in my collection of older bits and bricks, but I know I've still got those dome parts. The designer of this set recently joked about the pilot not being able to see out of the front on Twitter. A good-looking design, if not the most practical if you think too hard about it. Lyichir: I had this set and always figured the Lego spaceman had some sort of HUD and didn't really have the need for a front window. Another retro Space set? Nice! Looking fwd to seeing this year's space sets. Any ETA on them? Yeah, this guy wouldn’t be able to see a head on collision if it hit him, baring of course from the side. more classic space! did someone put Benny in charge of the random sets? Like many, I had this set. Remember building it and showing it off to the family at Christmas. What strikes me now is the piece count - only 46? Goes to show what we would be satisfied by back then. But I looked into the entire year 1989 on here, and I've got to say, it was a stand-out year for Lego. Great Castle sets with the latter end of the Forestmen, Space introduced the first iteration of Space Police, and the entire first wave of Pirates too. There were even some decent Town sets in the same year. At first sight, this registers as being a much bigger set than it actually is. I visually read the blue pieces as being the large ones used on loads of the space/undersea bases, which is probably why I thought it was big until I enlarged the picture. 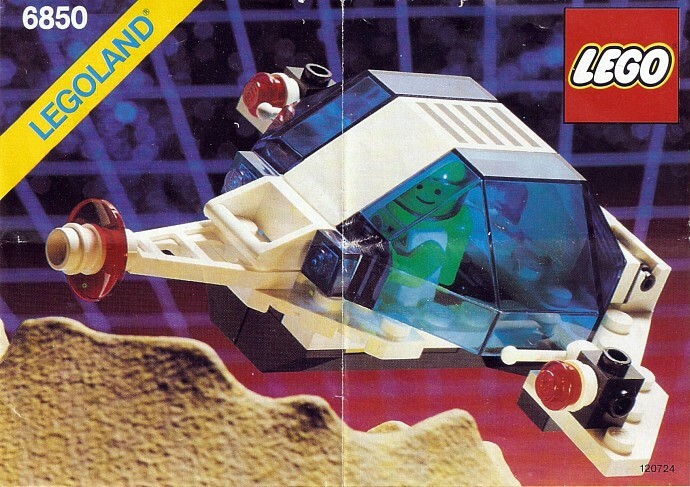 Honestly, considering how rudimentary a lot of LEGO builds were back in the 80s compared to today (far fewer SNOT techniques, Technic functions, etc), I always think it's neat seeing sets like this one or #6887-1 that used the various LEGO Space panels and windscreens, as specialized as they were for their time, in particularly creative ways. It's a good reminder that with a little bit of out-of-the-box thinking, seemingly specialized parts become an incredible creative asset, not a hindrance. These days a lot of my own building is inspired by trying to find similarly unconventional uses for many of today's much curvier and more streamlined elements. There's something truly delightful about finding parts that seem designed for entirely different purposes, yet fit so well together in a new and unexpected use that a person who didn't know any better might think they were designed with that function in mind. Recently I've been doing the same, finding new uses for specialized or odd parts. It's very rewarding. 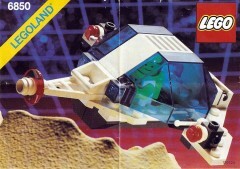 One of the earliest LEGO sets from my childhood. Cared more for the blue windows and the Spaceman.